These paleo chai spiced cookies are perfectly soft, chewy and also grain-free, gluten-free and dairy-free! I came across these grain-free thick and chewy snickerdoodles from A Clean Bake last week and knew that I had to make them! 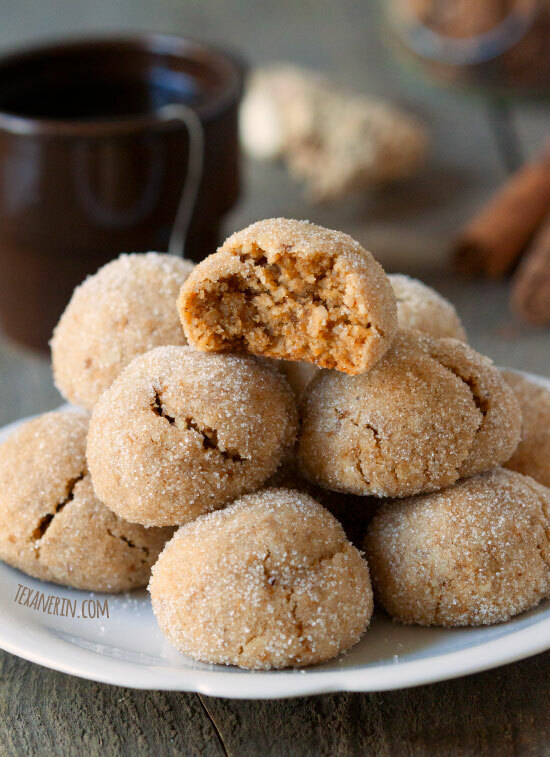 But being as it’s October, I wanted to fall-them-up a little, so I used maple syrup instead of honey and added quite a bit of chai spice to turn them into paleo chai cookies. I looked up different recipes for chai spice mix and all the recipes were different and used different spices so I just threw in some ginger, cinnamon, cardamom and cloves. I thought it was a perfect mix but you can use whatever spices in whatever proportions you want. At first, I rolled them in coconut sugar, which totally worked, but I preferred them with granulated sugar, because of texture and taste. Raw sugar would also work well! 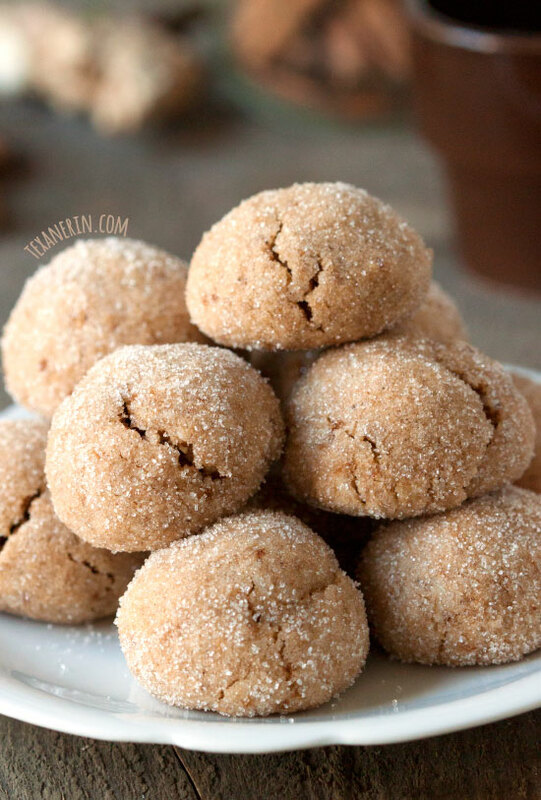 But of course, if you want to keep these chai spiced cookies paleo, use coconut sugar! I LOVE how chewy these chai cookies are. Have you ever tried these soft and chewy ginger cookies? They’re just like those in size, shape, and texture but with a totally different flavor. 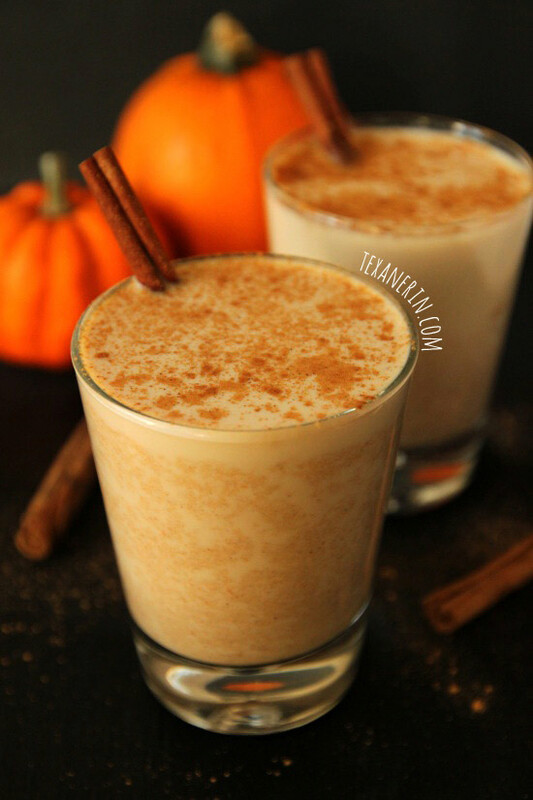 Here’s something to drink with your chai spiced cookies to have a cozy, chai-spiced evening. In a medium mixing bowl, stir together the dry ingredients (almond flour through salt). In a large mixing bowl, mix together the melted coconut oil, maple syrup, vanilla and egg. Add the dry mixture to the wet and stir just until combined. Wrap the dough in plastic wrap and refrigerate for 2 hours or until firm enough to roll into balls. Preheat the oven to 350°F (175°C) and line a baking sheet with a piece of parchment paper. Roll the dough into 1" balls, roll in the sugar, and place 2" apart on the prepared baking sheet. Bake for 8-10 minutes or until the tops are firm and no longer wet. They will not brown but may crack a little. Remove to a baking sheet to cool completely. 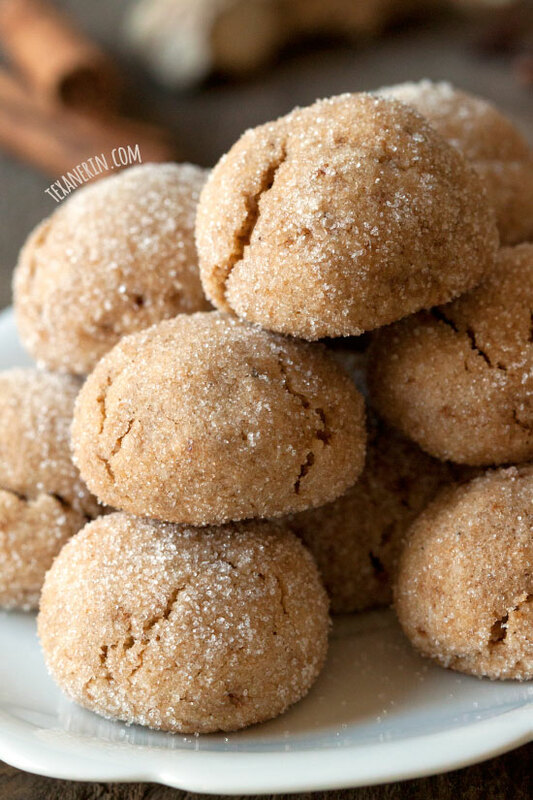 112 comments on “Paleo Chai Spiced Cookies (grain-free, gluten-free, dairy-free)” — Add one! I made these for a cookie swap and they were very well received! I used Almond extract instead on Vanilla and it gave a richer flavor. So yummy! Yummy! I bet that’s amazing. Thanks for the tip!